Home / Playstation 3 game manuals / Metal gear solid :. Metal gear solid manual Just click to open it in a new window then print the manual. Metal GEAR Solid 4: Guns off the Patriots is a video game developed by Kojima Productions, left on June 12, 2008 on the console PlayStation 3 . The play Co-is directed by Hideo Kojima and Shuyo Murata. It s' acts of the seventh episode of the series Metal GEAR. Guns off the Patriots extends the mechanisms of play of the precedents opus by mixing action and infiltration and makes once again the good share with the account and kinematics large spectacle. The title completes the history of Solid Snake, the hero of the series, and answers the questions left outstanding in the preceding episodes. The play integrates the basic pack online game Metal Online GEAR. L' history proceeds in 2014, five years after l' incident of Manhattan, in a world where the military interventions in foreign countries were restricted, causing emergence of military companies private (SMP). The war and its economy are controlled by the System, an artificial intelligence which governs each soldier and each weapon thanks to the nanotechnologies. With the head of the five more important SMP, Liquid Ocelot intends to divert the System to be able to raise an insurrection against the Patriots and to continue the idealistic intentions of Big Boss. 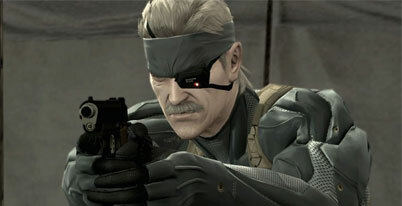 Patient and growing old, Solid Snake is the only one with being able l' to stop; it will be its "last mission".